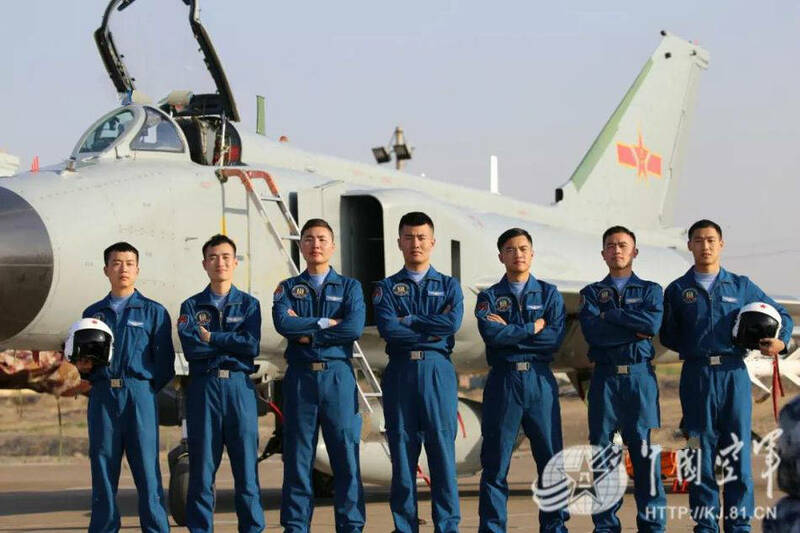 According to gongke, the WP-14 Kunlun is currently in use by JZ-8F. Over a billion yuan was invested into the project and over a hundred engines were manufactured. In the four years preceding February 2018, not a single incident occurred with the WP-14. However, during the split of AECC from AVIC, the project was not continued beyond the completion of its production run. AleDucat and DGBJCLAU like this. Hmmm ... that would be indeed a surprise? But why only in the JZ-8F? I'm not sure but I would guess it's because the WP-14 came after the end of normal J-8 production. Well, turbojet engines are considered obsolete today because of their high fuel consumption. The project likely made sense for China at the time. But not right now. “Comrades! Hopefully you are excited about your new replacement aircraft --- second hand J-8IIs!" DGBJCLAU and Lama like this. 老将换老将 西部战区某旅从歼7成功改飞歼8 translated as "Veteran veteran, a brigade in the Western Theater, successfully changed from 歼7 to 歼8" which could fit to either the 97th, 99th, 18th, 110th or 112th Brigades. Is there any additional info on a location given in that video? If Wikipedia is to be believed, only 18th (Lanzhou, J-7H), 97th (Urumqi, J-7E), and 99th Brigade (Urumqi, unspecified variant) fly J-7. Considering J-7E is several years newer than J-7H, I am leaning on 18th Brigade. I must admit, even if it sounds arrogant, I would thrust my own work (http://www.harpia-publishing.com/galleries/MCW18/index.html) more than Wiki. None of these assignments seem to be correct: The 18th is subordinated to the Ürümqi Base, whereas both the 97th and 99th Brigades as subordinated to Lanzhou Base. No detail info on location other than Western Theater, flat land and scattering mountains in far away background may indicate somewhere in North West China. I'm no longer sure ... In the extreme far-North west there are no J-7 units, the westernmost ones are assigned to the 108th Brigade at Changji or the 112th Brigade at Malan all subordinated to Ürümqi Base. DGBJCLAU, jobjed, Hyperwarp and 1 other person like this. Ha! 3rd guy from right is like ” Am I a joke to you? " So... Is there an up to date list of J-7 and J-8 units that remain in use today? But do we have any sort of confirmation for such an assessment?